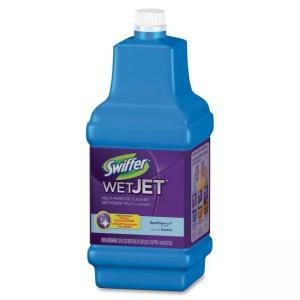 Multipurpose cleaning solution works with the Swiffer WetJet cleaning system (sold separately) to clean up tough messes. Multipurpose cleaner is specially formulated to break up and dissolve tough messes, lifting them off the floor so the thick WetJet pad (sold separately) can trap and lock them away. Cleaning solution dissolves tough, greasy and sticky dirt and has a fresh fragrance that leaves your home smelling clean. 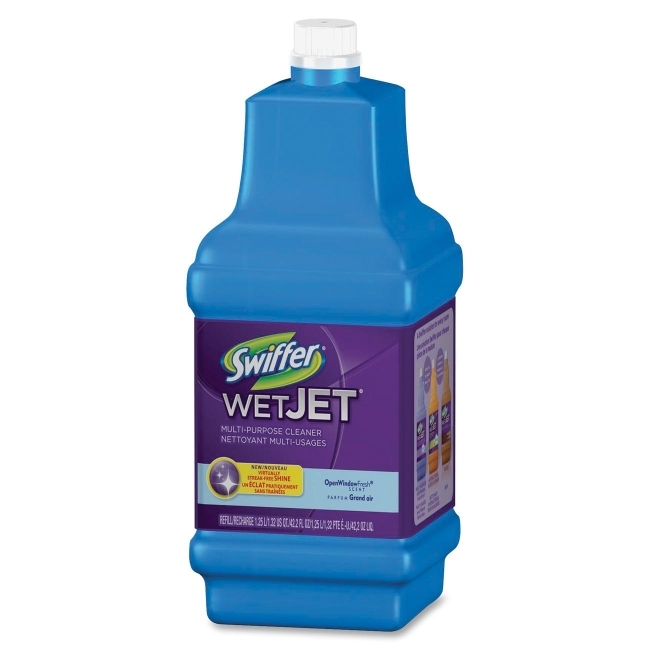 It dries fast with virtually no streaking or hazing.